Lavasa city developer Lavasa Corporation has received SEBI clearance for Rs 2,000 crore initial public offering (IPO). Lavasa Corporation is Hindustan Construction Company's arm formed to develop Lavasa city. HCC Real Estate (HREL), a 100% subsidiary of Hindustan Construction Company HCC holds 64.99% stake in Lavasa. 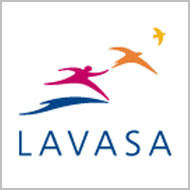 Avantha Realty Limited and Venkateshwara Hatcheries Private Limited hold 16.25% & 12.79% stake in Lavasa. ICICI Securities Limited, Kotak Mahindra Capital Company Limited, Morgan Stanley India Company Private Limited and Axis Bank Limited are the book running lead managers to the issue.